said the object glowed brighter in the night sky than the moon and stars and stayed 800-900 yards away. 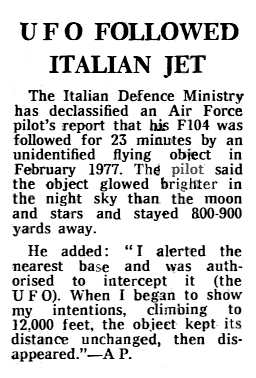 He added: "I alerted the nearest base and was authorized to intercept it (the UFO). When I began to show my intentions, climbing to 12,000 feet, the object kept its distance unchanged, then disappeared."